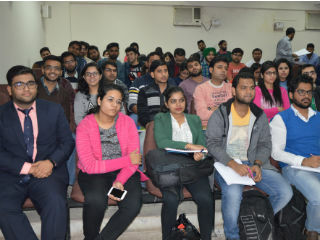 InvestoFin – Finance Club of JIMS organized a Virtual Stock Trading Competition – StockMIND which was conducted by ICICI Direct - Centre for Financial Learning on December 6, 2016. StockMIND is India’s biggest virtual stock market competition and has benefited lakhs of students across hundreds of colleges all over India. 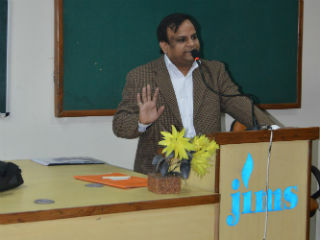 The introductory session was conducted by Mr. Dishanshu Tripathi, Regional Manager – North, ICICI Direct - Centre for Financial Learning. 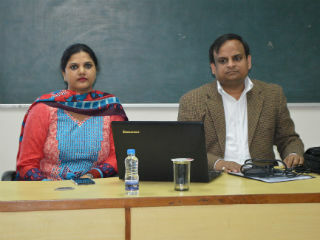 The session started with a film which focused on the awareness that a person with a non – finance background can do trading in the stock market. The different avenues of investment were discussed during the session. Then the discussion moved on to the rules and different aspects of competition. Students are given Rs.15 lakhs of virtual money and would be asked to make minimum 10 trades to stay in the competition. This competition helps the students to develop and sharpen critical skills such as critical thinking, risk taking, analyzing and decision making that go into the making of thorough professionals. Also, help in gaining investment skills such as the competition encourages students to learn the nuances of the stock market by using virtual money in the real market situations, thereby eliminating monetary risks. 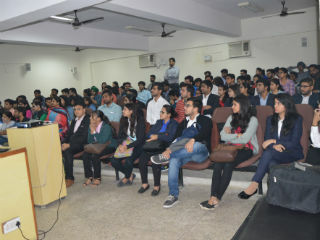 At the end of the session, 120 students registered themselves for participating in the competition by sending SMS to the number mentioned by ICICI.